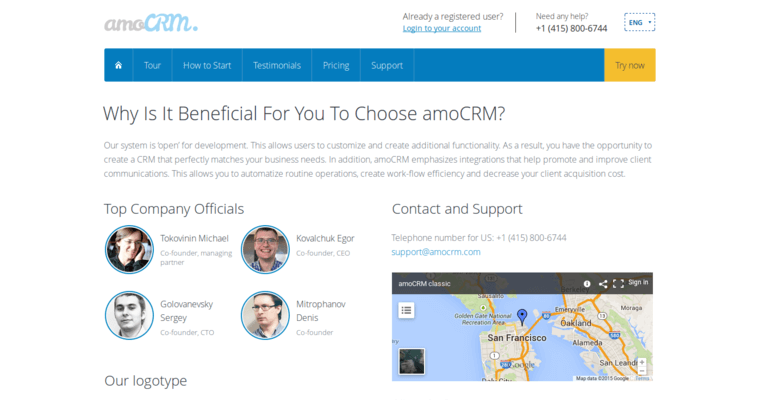 Startups looking for easy, intuitive customer relationship management (CRM) software will find everything they need from amoCRM. The company gives sales forces the tools they need to capture every lead, analyze and segment them, and follow up across multiple touch points. The idea is to make lead generation and analysis as easy as scanning a card. Users can collect data via mailing lists, scan social media platforms, and automatically export contact to any designated database. It's especially great for smaller sales teams that are experience a higher volume than can be handled manually. The friendly interface and nearly passive functioning allow sales associates to focus on what matters most in sales: connecting with the customer. 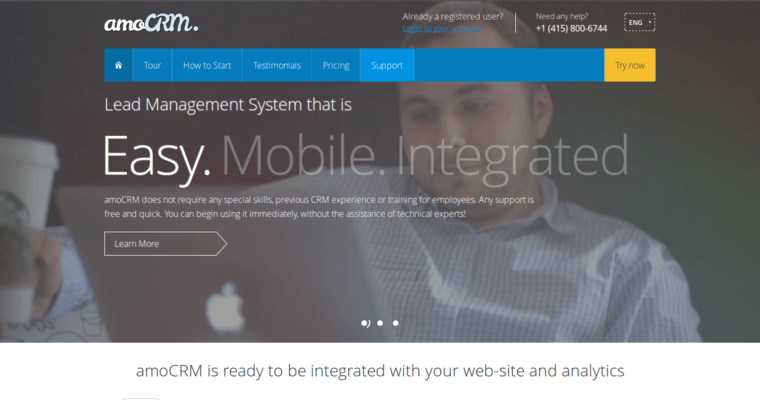 The software features fully functional integration across all platforms, synches emails, and has built-in click to call from almost any app. 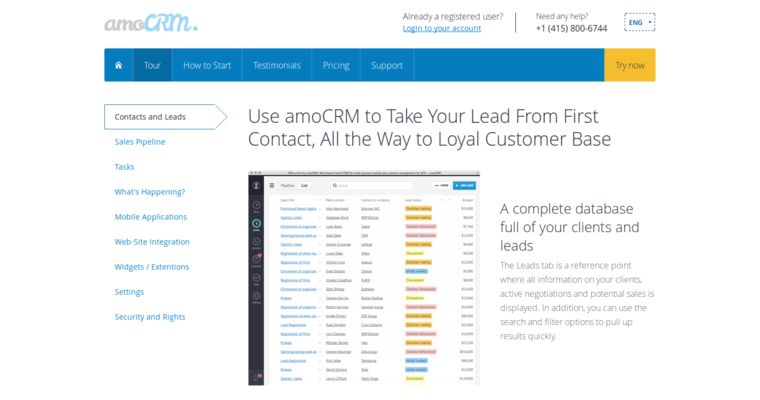 This CRM was a Finance Online Expert’s Choice Award winner for Great User Experience in 2017, and amoCRM offers a free trial and full setup assistance.